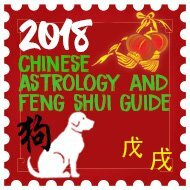 Forget about placing three legged Toads, Buddha’s and making your home or office look like a Chinese restaurant (unless of course you are a Chinese restaurant) and concentrate on the Feng Shui essentials that are so often overlooked. The main entrance door is probably one of the most important areas of a home or office, it is where the qi (ch’i) enters the building and the quality of the qi is dependant on the quality of the door area, hall and driveway. Qi (energy) enters the building through doors and windows. However, the front door of your house is where the major part of Qi enters and therefore this door plays an important role in determining the quality of Feng Shui experienced by the household or office. Its location within the house is extremely important. Most homes have two main doors. One that was built originally by the architect (front door) and the other, which could be a kitchen, garage or side door, that is sometimes preferred by the occupants due, for example, to the convenience of its location. How far do we take all this information? I teach Feng Shui to hundreds of Feng Shui Practitioners and students from all over the world and sometimes I do not always practice what I preach but believe me when it comes to doorways, halls, driveways etc our home and business is kept spotless, we replace doormats as soon as they start to wear, Doors, frame, paintwork and the area around door outside is cleaned weekly, brass door furniture polished when needed, hinges oiled when needed, glass cleaned every few weeks. Think of your door no different to your mouth, it is where the food (qi) enters the building and the cleaner the mouth (door) area the better the quality of nutrition entering the building. The problem with Feng Shui nowadays is it has been romanticized with thousands of books and websites depicting it as a quick fix to all your problems with placing a Buddha statue, Mandarin Ducks or a three legged Toad here and there and low and behold your dream date knocks on the door with a case full of money along with a miracle cure for rejuvenation. Sorry to disappoint you but if you placed your three legged Toad on top of all the dust in your hallway by the main door and you have not cleaned this area in a few months do not expect anything great to happen, the energy of these symbolic cures and enhancers work with the environment they are placed, so a nice clean area will synchronize better. Must try and make some money out of this website instead of putting people off buying things. It really is no different to your body, if you smoke 60 cigarettes a day, drink 2-3 bottles of wine a day, eat junk food daily, do not think by taking a vitamin C tablet daily that it will counteract all the damage these products will be doing to your body. Please do not think I am standing on a pedestal and making out I am whiter than white, I love good wine and because of my travels I sometimes eat junk food but it is all done in balance and moderation. Do not take Feng Shui to the extreme just get a good balance in the home or office and spend some time looking through this website and blog, there is some good advice here and you do not have to spend hundreds of pounds, it’s all free. entry doors can often cause unnecessary bickering and arguing amongst occupants, that it is why it is important to just use one door to enter and leave, it is okay to use the other door if it leads to the garden and you want to access it or throw your rubbish away. If you live in a home that has two or more doors but you can only enter through the main front one as it could be terraced or semi-detached, it is fine to use all the doors as the main entering and leaving will only be through one door. 2) Make sure the size of the door is in proportion to the size of the property. If the front door is too big, opportunities will slip you by and if it is too small, it can cause disharmony within the household. If you feel your door is too big or small hang a faceted crystal sphere on the inside of the door. In traditional Feng Shui there are auspicious measurements for doors and one of the reasons why we introduced auspicious dimensions in our Feng Shui software; this automatically tells you exactly what sizes are good and bad. 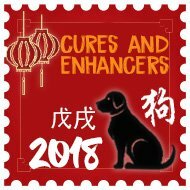 These auspicious measurements are used for doors, windows, desks, beds, furniture and every item you can think of and taken very seriously is China and other eastern countries. 3) Strictly speaking a solid front door is always preferable to a glass-paneled one. If you have a glass door do not worry just hang muslin, voile or a similar cloth over the glass. Personally I prefer a glazed door as I prefer natural light so please do not concern yourself if you have a glazed door although you should really avoid glazed paneled doors like below as they represent a cutting energy. The photo below was taken by me a couple of weeks ago in London and gives a superb example of how you should NOT keep your doorway, notice the shape of the caged type door and the wheelie bin beside the door and also right below a window and before you email me saying they probably did not have an option with the bin, they had many options and chose the easy route. The home actually tells even more stories which I will be publishing very soon. 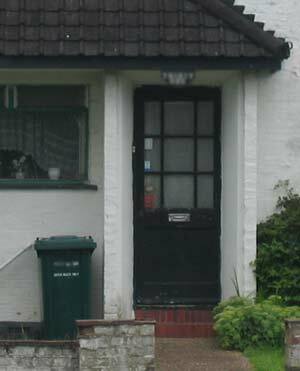 4) Ideally a front door must be bigger than the back door encouraging Qi to enter through this aspect. If you have a larger rear door hang a crystal faceted sphere here. 5) I visit a lot of City properties all over the world and many of the homes I see store their waste bins right beside the main door (see picture above) most because they no choice, if you do have a choice please try and store it as far away from your door as possible. If you think of it logically, it is obvious if you leave such a smelly and dirty bin beside your door the smell alone is not good so you can imagine what the quality of the energy is like. If you do not have a choice make the sure the bin is cleaned and disinfected every week. A Chinese belief is if you have your wealth area where you have a bin it will bring in stinky money (a Chinese saying for money that has been obtained illegally or immorally) and if you have your relationship area where you have your bin it will bring… you get the picture? 6) A front door needs to open inwards to allow beneficial Qi to enter. There is no cure for this one it must open inwards. 7) It is important that the front door opens easily without obstacles or difficulties. Broken door furniture must be replaced. Hinges should be oiled regularly. The front door must be well maintained and clean. Brass (metal) door furniture should be gleaming and paintwork or varnish should be in good condition. 8) Make certain that the name or number of your house is clearly visible by day and night in order to maintain harmonious relationships with callers. 9) The most vital thing to do is to make very certain that this door is not being hit by anything sharp or angled. This is what is considered ‘exterior poison arrows’. These structures can transform quality energy into a bad one and you would not want this transformation at your front door. If you feel you have poison arrows directed at your home place a Ba Gua mirror above the door. 10) Make sure the front door bell is easily located and works at all times. It should also have a nice ringing tone to it. I have stood waiting outside many front doors and had to use my mobile phone to call in as the doorbell was not working. 11) Numbers and Feng Shui. Every month we get to visit many homes and businesses on consultations and it amazes us as how far our clients take Feng Shui almost to paranoia, which is not good. 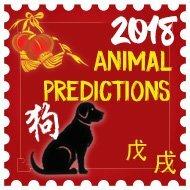 The Chinese are very superstitious when it comes to numbers; they choose telephone numbers, house number, business numbers, car number plates and anything that has numbers in very carefully. If you have inauspicious door numbers like #4 do not worry about it, as I will show you how to eliminate the inauspicious effects. Click on the banner below for more details. South (Fire) = Reds, pink, burgundy. Southwest (Earth) = Yellows, beige or browns. West (Metal) = White, silver, copper or gold. Northwest (Metal) = White, silver, copper or gold. North (Water) = Blacks, grey or blues. Northeast (Earth) = Yellows, beige or browns. 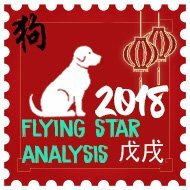 Note: If you have had an authentic Feng Shui consultation, the recommended colours given to you may well be different from above, as your Feng Shui Practitioner will know which elements are needed to weaken or enhance this area and if done correctly it will be done from a flying star (Xuan Kong) analysis. Our Feng Shui software also recommends the perfect colours for all areas of the home but you will find it may be different to what I have listed above as it goes into the analysis of the elements so much deeper and this means you get better results. 13) Do not keep shoes near your front door; they constitute clutter and create stagnant energy and not forgetting they are extremely dirty. If you have to keep them by the door place them in a shoe box so the negative energy is contained. Our front door of our new home faces northeast. There is a white front door with mid-sized stained glass center. The porch is enclosed with a metal security gate painted black. What can we do to make the front door welcoming, even though there’s a metal door with bars in front? Thank you. I would try to keep the entrance and path to the door as clear and clean as possible so that fresh energy can enter the home with ease; this will also enter the home through windows. I’d make sure the door is frequently washed down as white doors can attract dust quite quickly. I am Kua 4, and my front door (very nice and well maintain) is facing……. West! My 6-Killing Direction! Moving it is out of the question. There is another door behind the front door, a metal door, for security, after entering the Entry Vestibule. Is this enough to deflect bad energy? I would suggest installing a soft close hinge for the door and make sure that it is not banged. This should be enough to avoid problems. Hi! I really need your help. I hope you can help me. My house is under construction now. It’s a 2 units, 1 is my house and another unit is our apartment. I have a questions. 1. Front door is facing south. Back door is facing north. Is it OK that both doors are same size? 2. My bathroom is at the northeast. I was born on September 1,1977. Thank you! More power! The two doors being the same size will be fine; if there is a straight path through to both, I would try and place something between to slow the flow of energy through the home. I would make sure you do not slam the back door for the rest of the year. Having a bathroom in the is good for 2018 as we have a negative star there and this is much better to have a bathroom here rather than a more commonly used room such as a bedroom. I have a metal mesh with wood security door. The front door behind is solid wood. First of all, is the security door an issue?. Also, I’m thinking of replacing the main door with full glass or half glass to let natural light in. Is this an issue as well?. Thank you!. I would not be worried about the security door if it was my house as long as it is kept clean. Adding a door with more glass is a good idea as it helps brighten the home and let more Qi into the home although it could be weakened through the mesh door but the added glass would be more of a benefit than anything else. Front door is 100% north facing. The house though is 100% south facing. KITCHEN door is the one we come and go from always – only using front double doors for guests to enter. Kitchen door faces East. We are both East Group people born 1969 and 1971 and should ideally be in a east ‘sun’ house apparently from what I can work out. My husband is Earth I am Metal. Hello. We would like to purchase a house, but the front/main door is positioned on the (East) side of the house, facing the neighbors side wall. Should this be a concern for us? Thank you in advance for your advice. This should not be a problem on its own as the main facing would be the front rather than the main door. Good luck in your new home, Alina! Hi thanks for the great info. I have one question? I am replacing my back patio door and was wondering should it swing inward or outward? I look forward to your response soon. Thank you. This is down to personal preference and the space around your home. I have my back patio door facing outwards as this works better in my home so I would do what you feel is best as both ways will still be inviting Qi into your home. Across the street a tree is planted right in line with our front door. It is about 15 yards away. We cannot move it anymore. In the street there are always car parked between the tree and our front door. Is this bad for the chi? Is there anything we can do? I would not worry too much about the tree unless as this is a good distance from your home. You would only worry if it was dying or diseased as this carries negative energy around the area. Great article that makes a lot of sense thank you. I’m going to be moving to a converted barn. There is a courtyard with two other homes, the main entrance to the property is a wooden gate between a double garage (ours) and our house, this leads to a small garden. Before getting to the garden there is a door to the house which enters in to the kitchen. Alternatively there is an entrance across the garden which is intended as the main entrance into a nice space. My question is the front door is so obscured should I energise the outside gate as a main entrance and also the door across the garden, or maybe the double garage!! There is no obvious ‘Front door’ is this something I can work with? When deciding on your facing direction, the face with the main door will not always be the facing direction. You should go by the side of the home that has the most energy such as a road leading up to it or the picture you would take if you were to sell your home. Whichever door you decide to use as your main door, make sure it is kept clean around the area and not too blocked by plants etc as this will slow the flow of fresh energy. Good luck in your converted barn, Dominic. hi my front door faces a double patio past the stairs and through living room, how can I cure this, can you please advise? I would carefully place furniture or plants near your entrance hallway that will help to disperse the energy evenly around the home. I would not worry too much about this if the patio doors are closed the majority of the time. I have a front door that opens to a living room and dining room, there used to be a patio door before and extension was added, so now there is a door frame with no doors the extension of the home has the back door and the front door and back door are aligned. I am wondering if I add a sliding door to seperatebthe rooms (the extension if a family room) if that will help with the flow? You have answered your own question and I would definitely recommend a sliding door here and would have suggested this but you beat me to it! If the flower pots are large, I would play it safe and use neutral colours although I would not worry about it if they are small pots. Hello, i am about to purchase a home that has an espresso (black)colored entry door that is partially obscured glass with wrought-iron swirls. The entry faces 170° south. Directly in line with the front door is the double sliding glass doors leading from the living room to the back yard. It is a total of four large galss panels but only the cwnter 2 slide open. As a single parent, I am concerned that these situations can negatively affect my finances. Is a crystal cure enough or is it better to not purchase this house? If possible, I would place some furniture or decoration between the front and back doors to slow the flow of Qi around your home which should help avoid the energy going through the home too quick. Instead of putting security mesh door at/close to main wooden door, I add a wall outside the main wooden door to put the security mesh door. Which mean we need to open the mesh door, walk in few steps then open the wooden door and enter the house. But i heard from old people said main door shouldn’t have 2 doors. Is this security mesh door consider a door? Any solution on this? I would not personally class mesh screens as doors and I think the advice you have heard would be related to security doors at the front of some homes. My House main entrance door align with big window of the back side and can see back yard out of that window. As per Feng shui it is not good. How can I over come that problem. Also there are three doors open to same place like a cross. Is it bad or no problem. How can I overcome that. I would place a hanging faceted crystal sphere between the door and the big window, this should slow the energy down. Hi. I have a bathroom under the stairs and this bathroom is located near house entrance that has an metallic door. What should I do to cure this? Thanks. Could you please tell me which compass direction this door is in and I will be able to guide you better. Hi Daniel. The stairs and bathroom door face east (96° E stairs and 100° E bathroom). The front door face North (10° N). Thanks. Hi Michael. The stairs is in east direction. The bathroom door is in east direction. The entrance of the house faces north. Thanks. The metallic colour from the door will weaken the good fire element in the east this year and I would try to introduce some wood to enhance the fire element from the annual #9 star. I am about to move to a lovely new house (number 8) that does not have a front door. It has a back door and a ranch slider at the side of the house that you have to go up stairs onto a deck to access. I know the front door is of vital importance in feng shui so is my beautiful home doomed or is there something I can do to counteract the absence of the front door? Your home is not doomed at all and I have looked at hundreds of homes similar to yours over the years and they all lead a happy life and your absence a front door will not cause you any problems. No quick for this either other than install new door opening which i am sure is easier said than done! 1. I use the garage to enter and exit the house, unless I am going for a walk. Which door is the one that matters – the big roll up door that goes into the garage from outside, or the walk-through door between the garage and house? 2. My back door is a sliding patio door. Does only the sliding part that opens count for size, or does all of the glass count? 3. If the whole glass portion of the back door does count, it is smaller than the roll up door on the garage, but bigger then the walk-through door from the garage, and bigger than the front door to the house. Which should I cure? 4. Does having a glass storm door over the front entry matter, and if so what is the cure? The front entry door is solid. I really love this article, so much better than all the other Feng Shui articles I have read. Thanks so much for your insight! A) A good question and you should treat both doors as important and also the garage you walk through should be kept clutter free and clean as this is the qi mouth and sounds like a lot of energy enters here. A) You really need to let us know what you are trying to achieve as i am not sure what you need to cure. A) A storm porch is fine to have and all door entrances should be kept as clutter free and clean as possible. You can post us some floor plans and photos if you like so we can get a better idea of what you are trying to cure but hope this helps in the meantime. Hi, I\’m wondering, my patio back door is facing my staircase that goes up to the 2nd floor. Does that matter? Is it the same thing as the front door facing the staircase? Thanks for you help! I would recommend placing something in between the two doors if possible as this will slow down the energy and will allow it to disperse better across the whole home. Hi, I\’m wondering if you have any suggestions for a entry mirror I can\’t move that faces the front door (actually the door is on a slanted wall across from the straight wall the mirror is on but the door is still visible). I\’d rather not have to cover the mirror, is there anything I can do to counter the good chi from going bac out? Thanks. You could place a mirror on the other side of the door so that it sends the Qi back in towards the home; this will not be as effective although it will be better than leaving it as it is. I hope you can advise me, my unit is next to corner unit (Muslim Family) who put one mandarin duck it mouth was pointing directly to my main door. Is there any feng shui stuff can block this mandarin duck? Hang the ba gua on top of main door can cure this problem? Will it cause harm to me? Be positive so everything so good thing sure come. I would not worry; Mandarin ducks are romance and relationship enhancers and would not cause you any problem. I am wondering if you have a suggestion for my back patio door , that is perfectly aligned and visible from my main front door. Any table or plant that I place in between them will be in the direct flow of traffic and will make it difficult to g around my main living area. My main floor is mostly open concept, and the two opposing doors are separated by a hall as such, flowing past the staircase and kitchen ( on either side) and then the family room and dining area. I do not know how to redirect the flow of energy without putting something right in thnow middle of the floor where people walk in between rooms – there are no walls to place something besides. We have had a lot of bad luck these last few years and I want to invite positive energy to flow around the house. I hope this helps, Amy. I would recommend placing furniture around the doors path to slow down the flow of Qi.Just be sure not to use pointy shaped furniture such as metal coat stands etc. Is it Ok to have 2 main sliding doors in the front? It is fine to have sliding doors in the front, just make sure you keep the glass clean. Can I put my piano or book shelf in between my main door and glass window ? Than you to block the entrance q from going out through window ? This will help, yes. Solid panels work best but a bookshelf with a solid back will work well. When I started reading the post, there was a feeling from inside what\’s next?,, what\’s next,,, I\’m really glad to read the information about Feng Shui, Qi, Ci. Fantastic post 😀 looking forward to reading more articles!